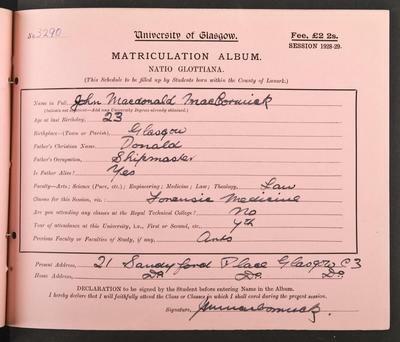 While a student at University in 1927, John MacCormick was one of the founders of the Glasgow University Scottish Nationalist Association (GUSNA). In the following year he was involved in the founding of the National Party of Scotland, which merged with the Scottish Party in 1934 to establish the Scottish National Party (SNP). "I have not spent my life trying to be convenor of a glorified county council." Disagreement over party policy on independence led to his resignation from the SNP in 1942. 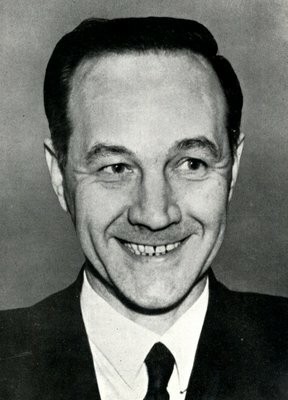 He then participated with other disgruntled SNP delegates in the founding of a Scottish Convention to campaign for home rule for Scotland and in 1951 formed the Scottish Covenant Association, a non-partisan political organisation which campaigned to secure the establishment of a devolved Scottish Assembly. Despite strong support it failed in its objective, which was only achieved with the creation of a Scottish parliament in 1999, 38 years after MacCormick's death. He was elected as Rector of the University in 1950 under the GUSNA banner. He was associated with the removal of the Stone of Destiny from Westminster Abbey on Christmas Day 1950 and its return to Arbroath Abbey through Ian Hamilton, a law student who ran the campaign for his rectorial election. He was also responsible, with Hamilton, for MacCormick v. Lord Advocate, the constitutional challenge over Queen Elizabeth using the title the second, rather than the first in Scotland. MacCormick, John. 1955. The Flag in the Wind. London: Victor Gollancz. World Changing Project, "Founding the Scottish National Party," in University of Glasgow World Changing (University of Glasgow, 2010); http://www.worldchanging.glasgow.ac.uk/article/?id=103 (accessed April 23, 2019). World Changing Project. "Founding the Scottish National Party." In University of Glasgow World Changing. University of Glasgow, 2010. http://www.worldchanging.glasgow.ac.uk/article/?id=103 (accessed April 23, 2019). World Changing Project. "Founding the Scottish National Party." University of Glasgow World Changing. University of Glasgow, 2010. 23 April 2019 <http://www.worldchanging.glasgow.ac.uk/article/?id=103>.